As a technical director that spends a lot of time in the research and development of vibratory machines, there are occasions when inherent structural frequencies have become a limitation. When challenged in grinding and screening processes by current limitations of fines screening, the idea arose that structural frequencies can be a benefit if certain structural elements were reimagined. All structures have natural frequencies at which they vibrate. Those frequencies are determined by the spring rate and mass of members in the structure. In the world of natural frequency vibratory screens, coil springs and engineered masses are used to design a machine with its natural frequency near the running speed. In this way, the machine will then amplify its motion on the input force of the drive. Conventional running speeds are generally in the range of 600 to 1800 rpm, but it is commonly understood in the screening industry that higher speeds and lower strokes are more effective at screening fine particles. In 2016, along with a research & development team, I embarked on a project to rethink the basic vibrating structure design. The reimagined spring design was created to handle the higher frequency operational goal. Instead of designing the equipment to incorporate coil springs, the spring system is now part of the designed structure itself. The prototype spring design had several surprising benefits. First, the shear connection as the mounting method of the spring makes for a better bolted connection. Second, the structural spring design functions as both a spring and a leg reducing machinery costs. Finally, this methodology is ideal for high frequency, low stroke applications such as screening of fine powders, and corresponding running speeds up to 3600 rpm are easily obtainable. Utilizing ANSYS and FEA analysis, the engineering team created test units to implement this new spring design. The rigorous testing process included identifying limitations, determining conveying rates at maximum stroke, and qualifying effectiveness when compared with brute force vibratory technology. Original design targets for stroke and speed were set for the development of a new structural spring. After fabrication of the first test unit, it was observed that strokes and frequencies closely matched design expectations, in part due to the simplicity of the design. Over a period of four months, the stroke was gradually increased with intention to test the upper limit of the spring stroke capability. At the end of that time, the total stroke was four times the original design parameter, and the springs had still not failed. As testing progressed, the vibrating screen was able to effectively separate fine powder down to 200 mesh. Additional improvements were revealed with this design. The simple natural frequency design made the machine an economical option in that a smaller drive was required and operation required minimal power consumption. The low stroke translated to lower dynamic forces and smaller machine clearances needed. In addition, this design was easily customizable for stroke, spring rate, shape, and material, because the design was no longer limited to stock springs. The screen was tested using different bed depths, strokes, and decline angles before being tested against the results of a brute force model as well as multiple mesh sizes. Overall the unit was monitored in over 20 tests. Utilizing VSMA calculations to compare the test lab screen to a brute force design, tests were set up to target 90% screening efficiency, but well exceeded that target. With the R&D project completed in 2017, the new design is now being applied to feeders, conveyors, and fluid bed design, which all benefit from this economical and flexible design. A patent for this new design is pending. Our hope with this new spring design is to inspire a wave of change in processing abilities for the powder and bulk industries that will provide a revolutionized processing power with availability to many applications. 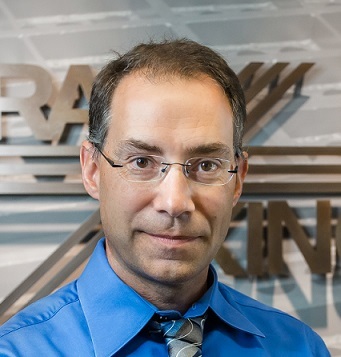 Steve Massman, technical director at General Kinematics, started as a design engineer over 20 years ago, and has designed over 100 pieces of equipment for the company. He has since held several other titles before reaching his current role. Massman has nine assigned and pending patents.